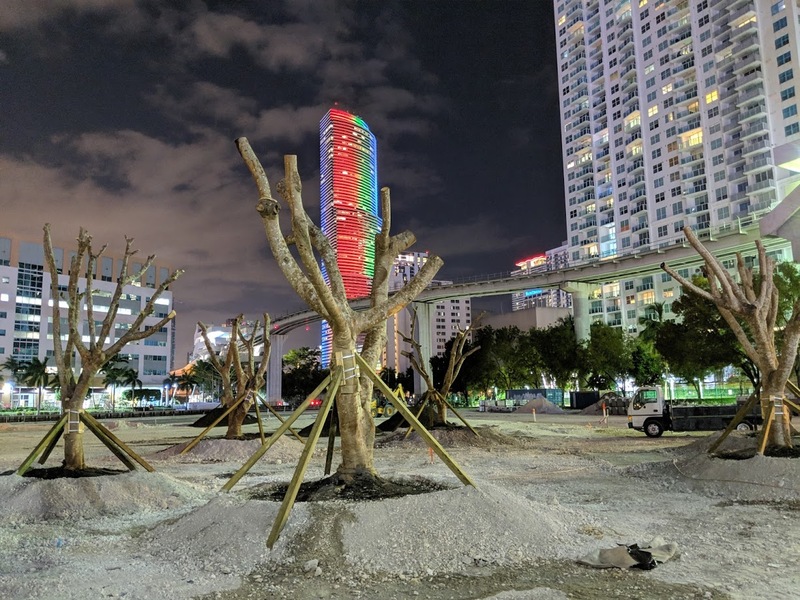 Next to Brickell City Centre, a vacant lot could soon be activated with an entertainment complex. A Temporary Use Permit application is pending for the property at 451 South Miami Avenue, and construction work is already underway. 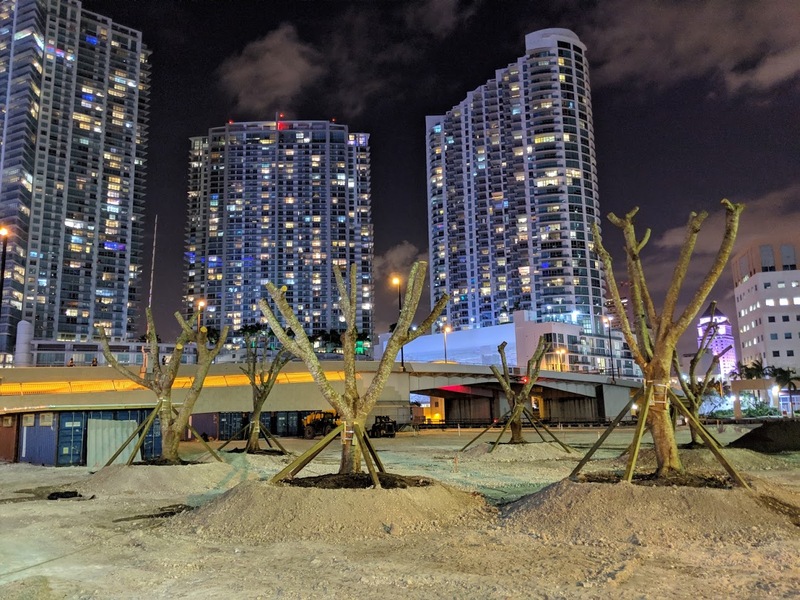 The proposal was reviewed by the Miami River Commission’s Urban Infill and Greenways Subcommittee at a March 20 meeting. 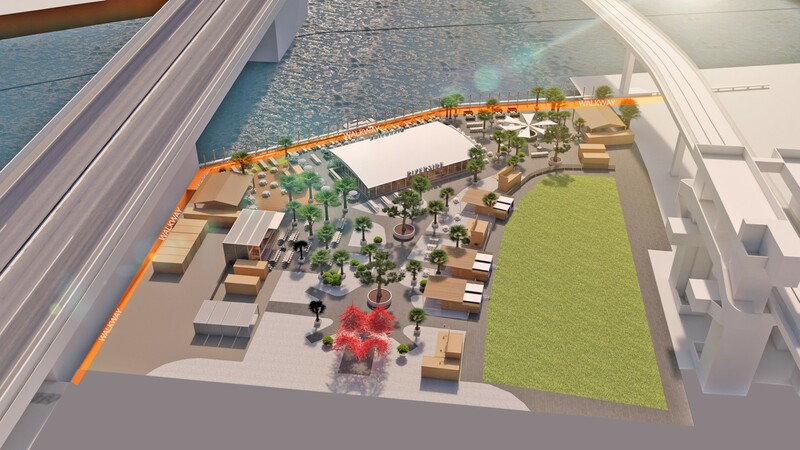 Plans show an outdoor place that appears similar to The Wharf down the river. A walkway along the river is also shown in the drawing. Despite being a prime piece of property, the land has been used as a parking lot until recently. Miami River Holdings LLC, said to be controlled by Carlos Mattos, owns the land. Mattos is partnering with Swire Properties on a massive expansion of Brickell City Centre to be built on other property he owns nearby. This means they will wait until the next cycle to begin building out the next phase of City Centre. That lot isn’t part of city centre. At least not publicly. The smaller lot on the other side of 5th street is though. No it’s not officially part of City Centre. But the 3rd floor promenade is open at the north end, so it would be very obvious to continue City Centre North into the next two blocks. I’d be very surprised if Swire isn’t planning for this. The new wharf while the current one has permanent buildings being built on it. Park at city centre or the new garage at world plaza…. It’s called Uber/Lyft. 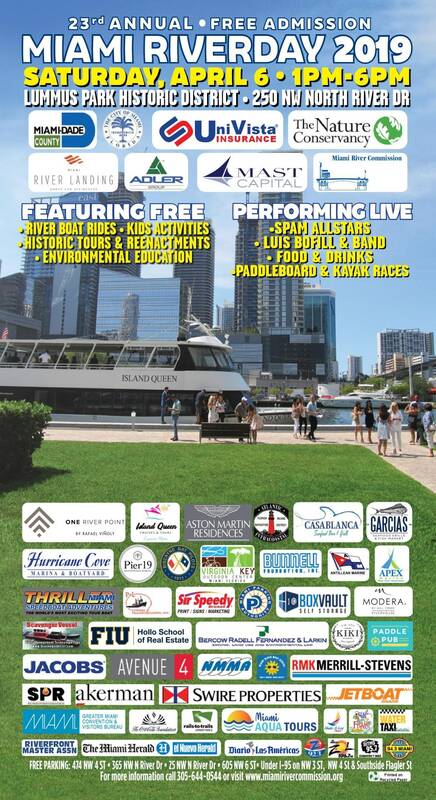 That’s how most of the downtowners and Brickellites I know get to the Wharf. Plus now you hot the mover right next door so you can park anywhere and then take it. What? There thousands of parking spaces across the street, 7,000 residents within 4 blocks, AND a Metromover station. Much better location than the Wharf. Let’s hope the Nimby’s don’t shut this down. This just looks like a bunch of fire pits put together in front of BCC. That’s a “VIP Experience Area” for summer! Geeze. Everything can’t be a parking gargae you know! Hoping they find more success than the waterpark. Creative use of space now that Swire is choked with caution. Isn’t that a prime parcel for development? I guess is only temporary. Yes, it is only temporary. I always envisioned this site for the tallest building in Miami. Right next to this land that’s been empty for years is one of the, if not the biggest Metromover stops in the city. Never understood why the owner of this property just let it sit there undeveloped for so long. Heck, it’s been so long, I can’t remember what was there. I should start my own blog. Stay tuned. What used to be there? I only remember it as a parking lot and where they filmed an episode of Burn Notice. Never knew there was an actual structure on the land though. If the owner is taking his time to develop later, it better be something amazing, at least Aston Martin or Okan Tower-tier. Does anyone know if the Wharf will be opening a new location? i know they’re opening one in Ft. Lauderdale.